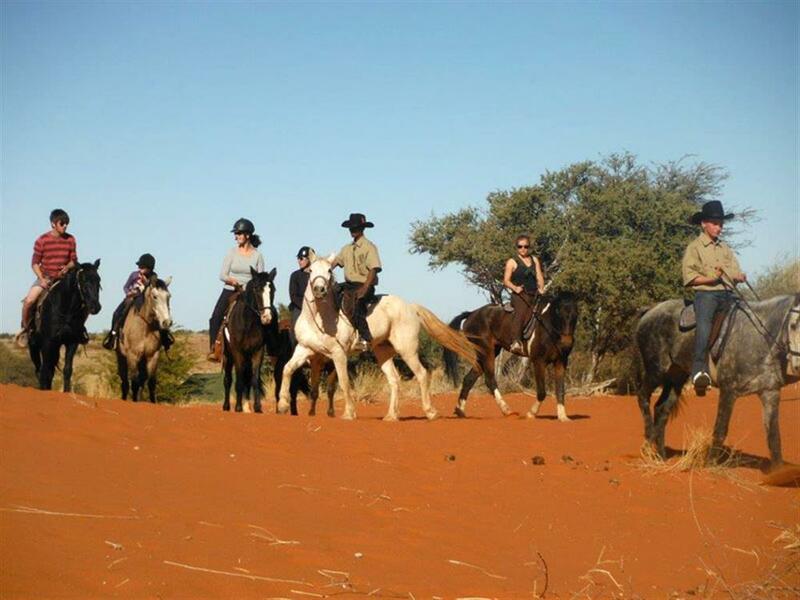 Bagatelle Kalahari Game Ranch lies on the edge of the Southern Kalahari in the mixed tree and shrub savanna. 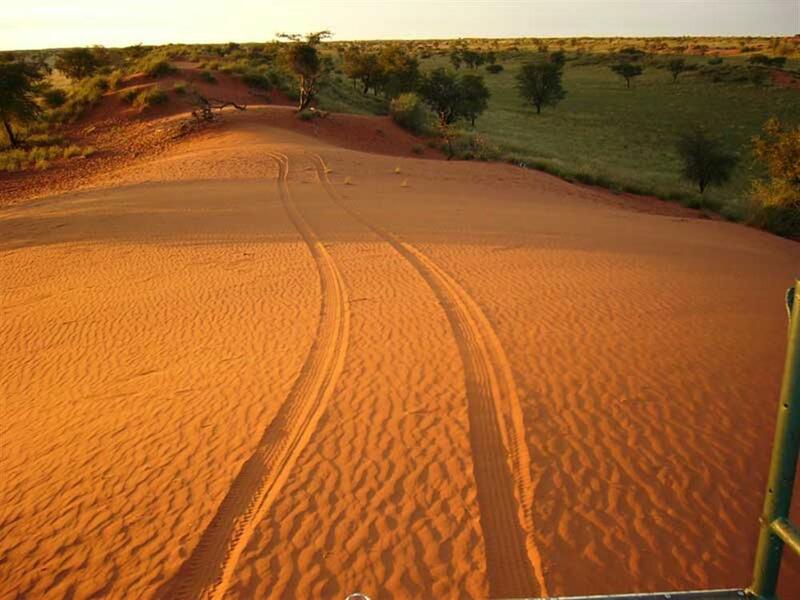 The ranch is characterised by huge red sands dunes running parallel, and in a northern-westerly to south-easterly direction. The design and décor, materials and furnishings, gardens and natural settings, all combine to ensure guests have a comfortable and memorable stay. 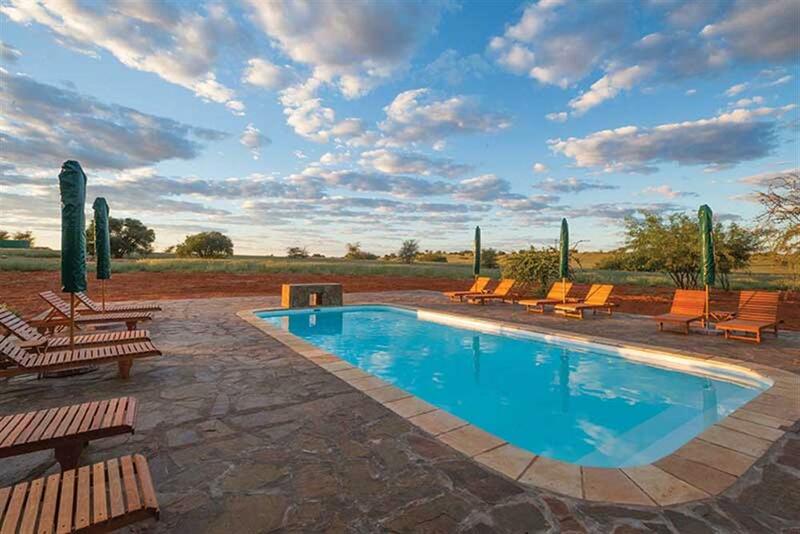 The old farmhouse was extensively altered, upgraded and renovated to not only serve as a residence, but also as the central area of the lodge. An entrance hall leads to the reception, lounge, dining room, bar & cellar, library and office. 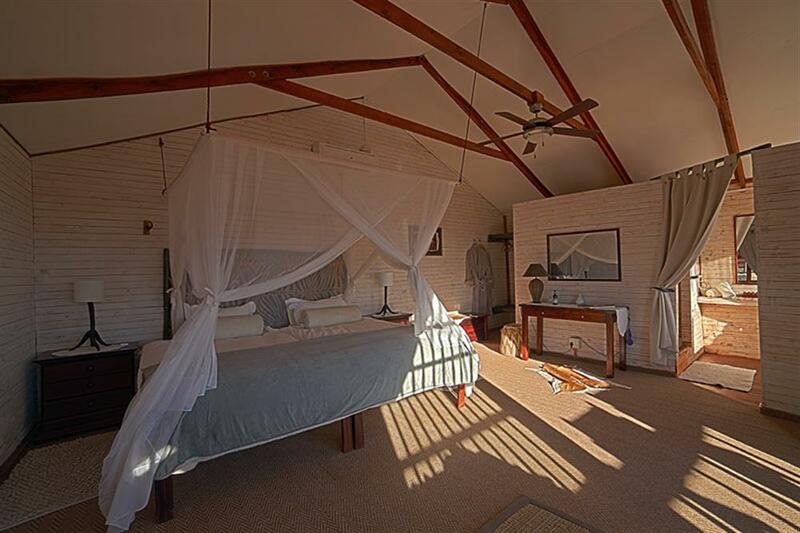 There are three styles of chalet provided, all with the same standard of luxury and finished quality. 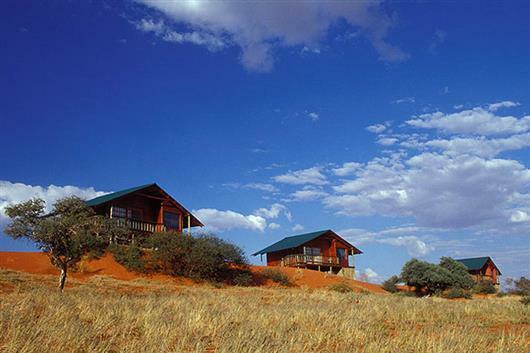 Four chalets, constructed of wood and on stilts, are built on top of a Kalahari sand dune with unsurpassed views to the Southwest. The other six chalets are built in a valley between the dunes. These chalets are built of 'hay bales' with walls 600mm thick, the insulation and atmosphere are equally effective and tranquil. The four garden courts are next to the lodge in their own garden. The main difference between the styles of chalets besides the construction method, is the fact that the dune chalets have a bath and shower, while the 'hay bale' chalets only have a shower. The garden courts are adjoined. 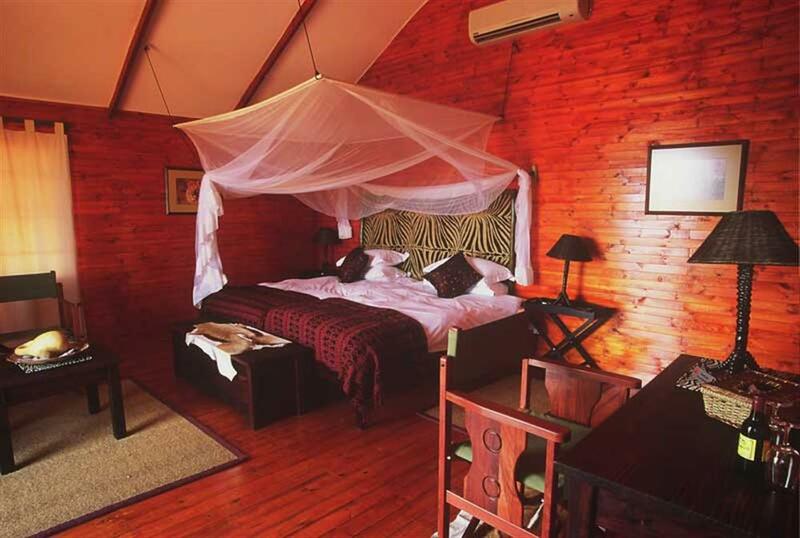 The standard and quality of finish is the same for all of the chalets, with exquisite décor and fully equipped. 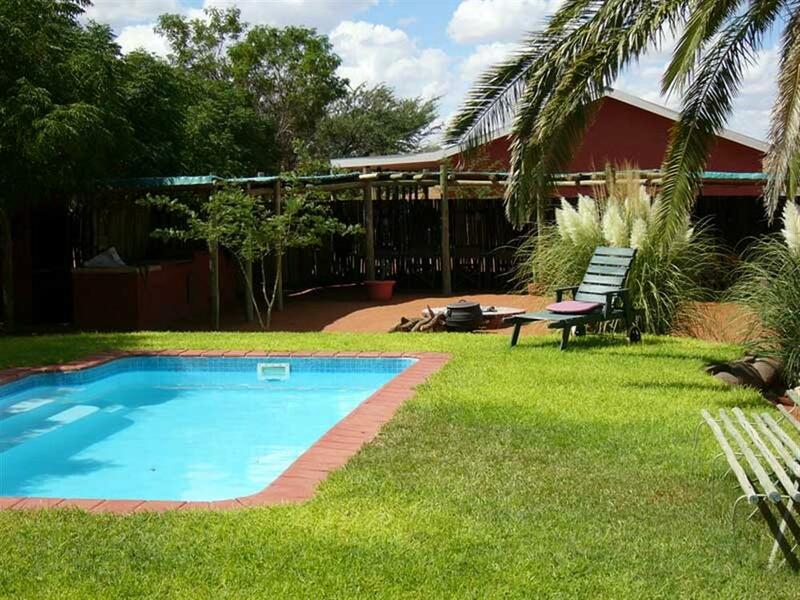 There is a swimming pool and recreation area. 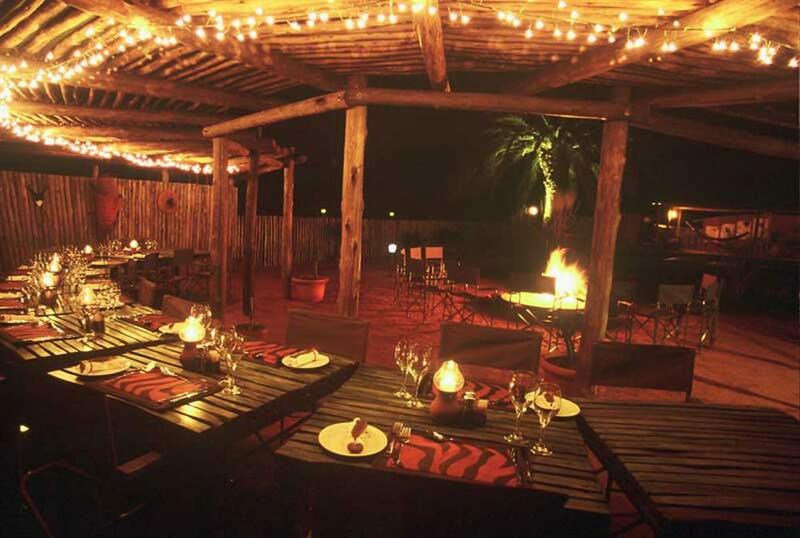 An open air lapa for outdoor meals captures the atmosphere of an African Safari. 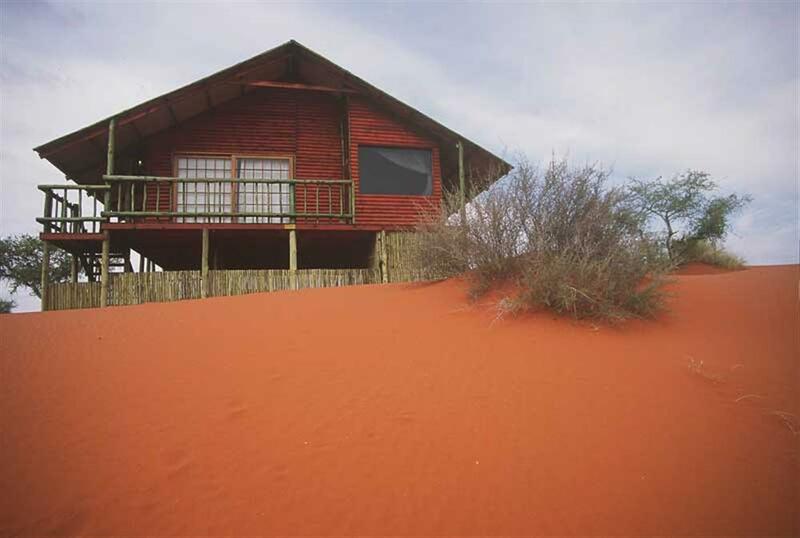 Activities include a nature drive during the early morning and late afternoon, where guests can view the diverse animal and bird life, and also the unique dune topography and vegetation. 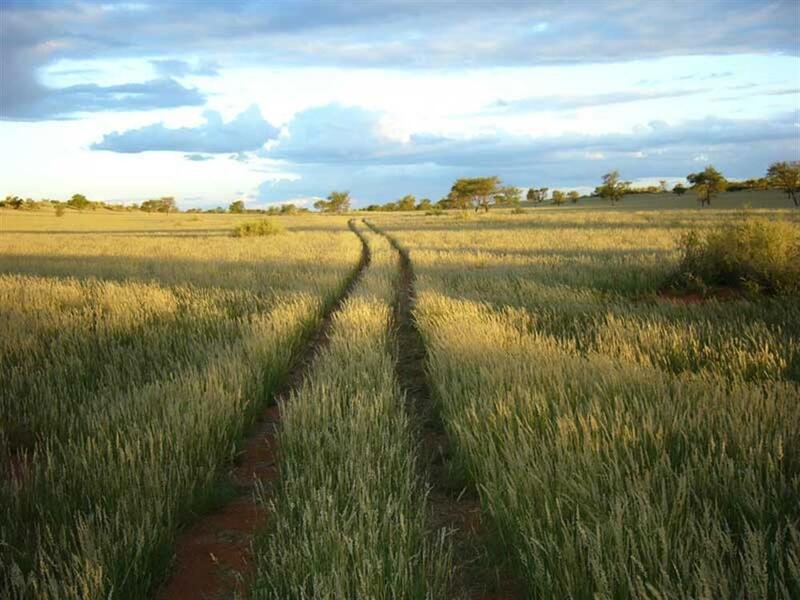 A great alternative is a bushwalk with sign posts and marked trees and the option of an accompanying guide. 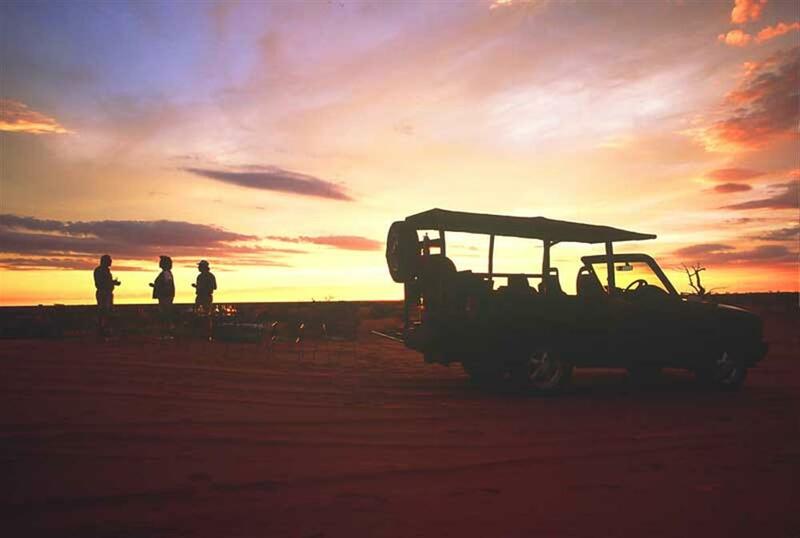 Traditional sundowners on a red Kalahari sand dune are the perfect way to watch the sun set into the distant dunes.